I have a collection of diecast trucks which I will one day feature in my blog, but today I discovered this awesome diecast on Trade Me. At around $160.00 for a 1:64 scale it's fairly expensive, but isn't it magnificent to see that familiar livery again. 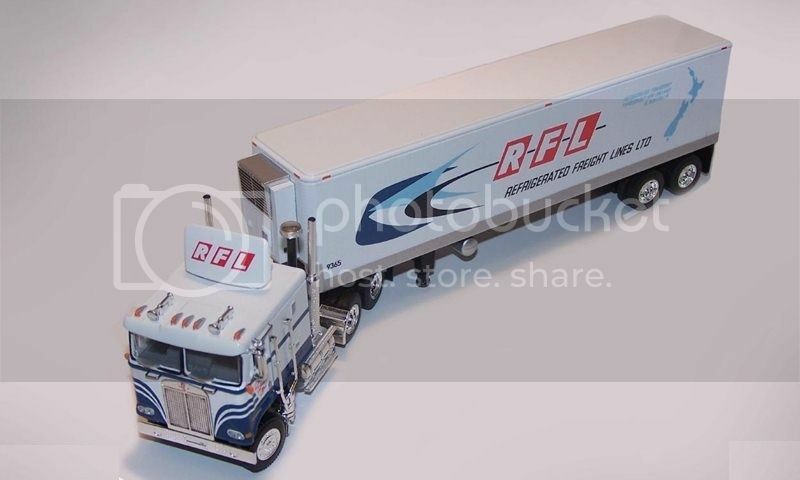 I wonder if they'll do an R series Mack pulling those short trailers in doubles configuration that was a common sight when RFL was on the road. Yeh, a Mercedes maybe, or the bitchin "Black Pearl"
Getting My Head Around It !